Potatoes get a bad rap for packing a lot of carbs, but it is one of the best vegetables you can enjoy in winter and they bring a lot more than just starch to the table. Todayâ€™s recipe as you can guess from the title is all about Potatoes. 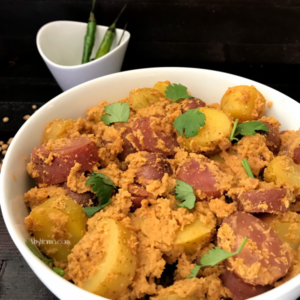 It is one of my favorites among potato recipes just because it is super easy to prepare and packs a lot of spicy flavors. 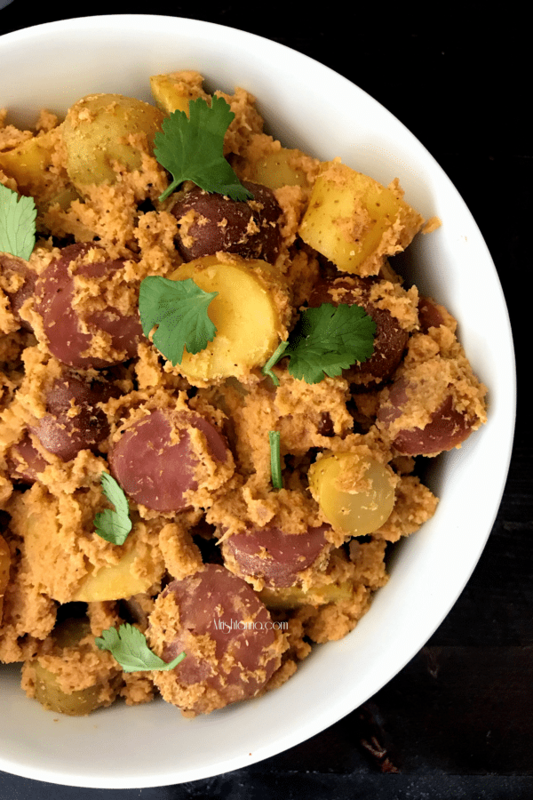 Potatoes come in various colors and I have found that red potatoes work very well for this recipe. The other main ingredient(s) are the spices that compliment the potatoes. I just cut the potatoes into little round pieces. You can slice them as thin as you prefer. Just make sure that they get an even exposure to the spices. Talking of spices, there are not many of them, and for that reason, you cannot skip any of it to retain the authentic flavor. You can perhaps tone down on the red chilies but do not skip all of it. The subtle heat from chilies and spices are beautifully balanced by the grated coconuts. 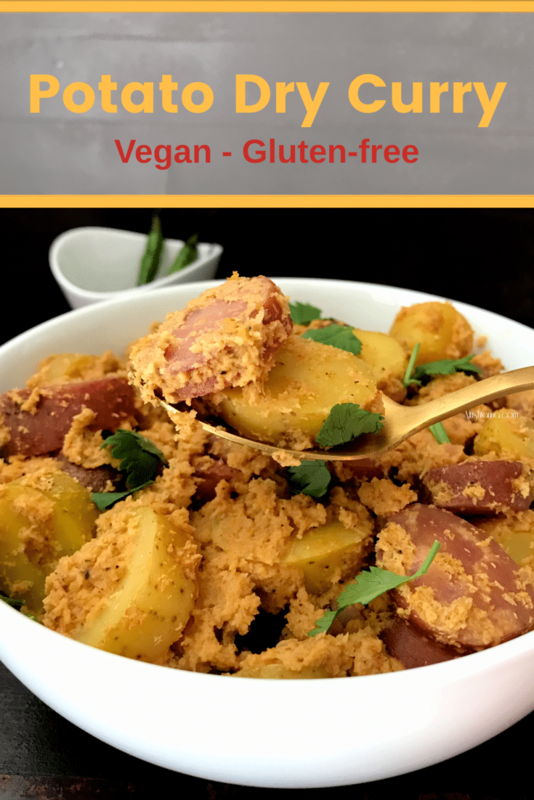 Make this vegan, gluten-free recipe a part of your meal plan and prepare it on a busy weekday! This is not the first potato recipe and certainly not the last one either. 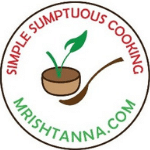 If you are looking for a specific recipe or need a suggestion for more recipes, feel free to contact me at this link. Before trying this recipe, check out my short video. If you have any questions or comments, feel free to leave a comment here or on my facebook page. For more delicious vegan recipes such as this sent directly to your inbox, just subscribe to my newsletter. You will also get a copy of my e-book where I have put together some simple vegan dessert recipes and dessert essentials. My readers have found it very helpful and I am hoping you will too! 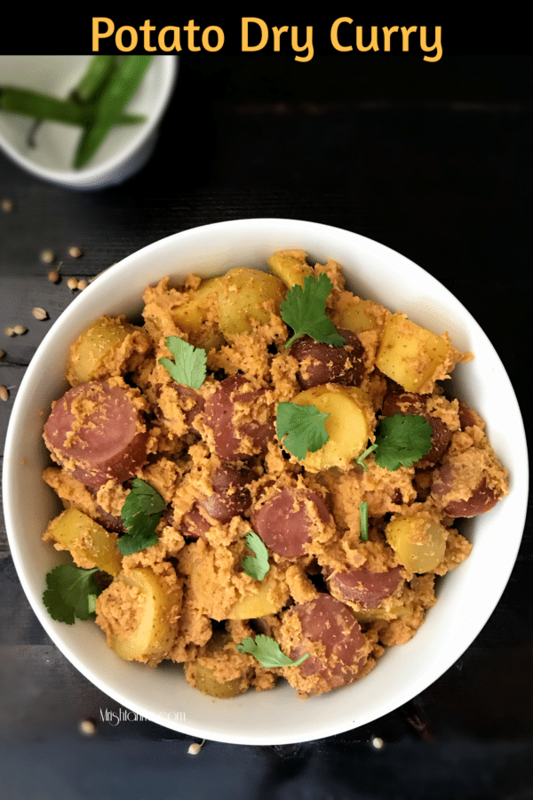 It is one of my favorites among potato recipes just because it is super easy to prepare and packs a lot of spicy flavors. Wash and cut the baby potatoes into rounds. Remove the starch with a quick wash and let the water drain. Place a big pan over medium heat and start to cook the potatoes with 3 tbsp of water. Meanwhile, blend all the spices and coconut with quarter to half a cup of water. Add the blended paste to half cooked potatoes. Add salt and mix well. Cover the lid let the potatoes cook with all spices and coconut paste. In about 20 minutes, switch off the heat and garnish with coriander leaves. Potato Dry Curry is ready! Serve it warm and pair it with hot steamed rice as well as Rasam or other gravy.